According to the website of Crystal Cruises, the Crystal Symphony appears to have receieved a beautiful refurbishment. Looking at the pictures, this seems to include the staterooms, the Lido Cafe, Neptune Area and the whirlpool on the Pool deck. Judging from the pictures behind the below link, it looks absolutely awesome! Agreed - she looks better than new - very modern, sophisticated redesign. I see in one of the images of the refurbished suites, it appears as if there is now a window moved all the way out to the balcony railing... similarly to what the penthouse suite on CY features. I like the new colors, the fabrics and the design: very exclusive and relaxing at the same time. On the other hand, I think it was about time CS was refurbished and upgraded and I'm so thrilled to see how well it all came out. 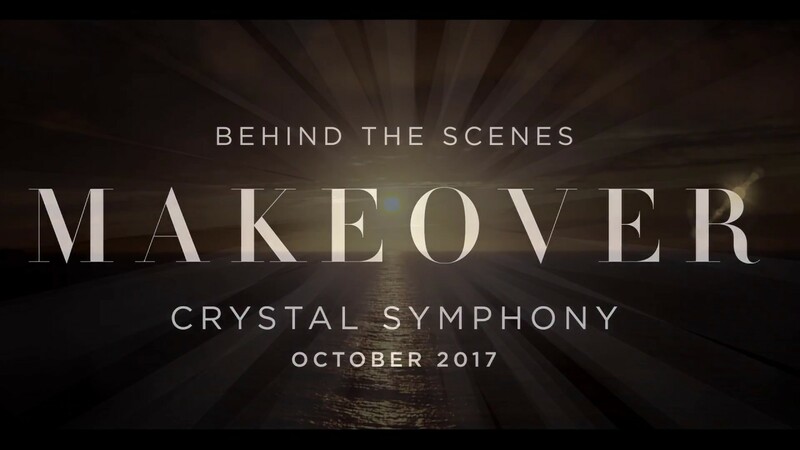 This will reassure the cruise line that Crystal was, is and will forever be the very best! A redesign triumph it seems, and I am absolutely agreeing with the reactions so well expressed in these posts. Looking once more at the website photos may I pick out Prego? – no more the Italy "existing only in Disneyland or Las Vegas” as in a previous reaction to a photo from last year. Yet still keeping the basic layout, the columns, the balustrade – only way up in the sophistication/modern/elegant direction. So I’m betting that those who knew and loved it in the past would continue to be delighted now. All of which reminds me that while I am browsing around Crystal’s website, I had better take time to work out “which ship, which cruise” our E is set up for in this new year . . . This is a very beautiful vessel - so well built and so classy. She doesn't belong to any other cruise line than Crystal Cruises. I'm getting tear-eyes when seeing this video: I have so many wonderful memories from this ship, so many places I have sailed with this vessel, so many days at sea... she was my HOME for so many years. I'm so proud to having been a part of the history of this ship, and sometimes wonder if there is anything left after me on board.